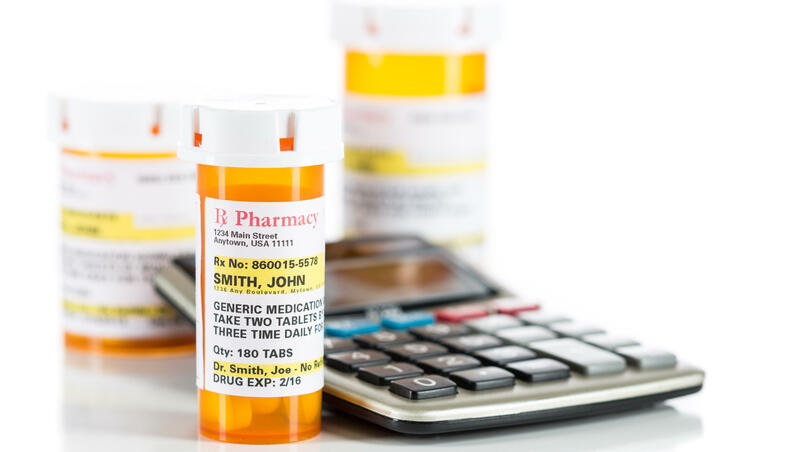 President Donald Trump makes big promises to reduce prescription drug costs, but his administration is gravitating to relatively modest steps such as letting Medicare patients share in manufacturer rebates. Those ideas would represent tangible change and they have a realistic chance of being enacted. But it's not like calling for Medicare to negotiate drug prices. The White House Council of Economic Advisers has released a 30-page strategy for reducing drug costs, and it calls current policies "neither wise nor just." The plan, outlined before Trump releases his new budget proposal Monday, focuses mainly on Medicare and Medicaid changes, along with ideas for speeding drug approvals and fostering competition. "Despite promises to drastically lower prices the mix of proposed changes does not appear likely to do so, even though there are some constructive proposals," said John Rother, CEO of the National Coalition on Health Care, an advocacy group whose members include consumer organizations, medical societies, hospitals and insurers. Polls show the high cost of drugs is a top concern of Americans, regardless of political leanings. In his State of the Union speech, Trump seemed to foreshadow major change, saying "fixing the injustice of high drug prices" is a top priority this year. "And prices will come down substantially," Trump added. "Watch." Medicare negotiations and drug importation are unacceptable to the drug industry, which has spent tens of millions of dollars since Trump's inauguration to influence the Washington conversation around drug prices, including a high-profile TV advertising campaign portraying its scientists as medical trailblazers. "Other nations are free-riding, or taking unfair advantage," according to the review. An investigation by Sens. Charles Grassley, R-Iowa, and Ron Wyden, D-Ore., in 2015 found that the makers of the breakthrough hepatitis C drug Sovaldi decided to charge roughly $1,000 per pill even though the company's own analysis showed a lower price would allow more patients to be treated. Gilead Sciences disagreed with the senators' conclusion that it put profits before patients. —working with states to revise Medicaid rules so manufacturers don't have an incentive to set artificially high prices due to the rebates they provide the program for low-income people. —changing the way Medicare pays for drugs administered in a doctor's office so Medicare doesn't reimburse based on a fixed percentage of a drug's cost. Critics say the current system creates an incentive for doctors to prescribe more expensive medications. The Obama administration proposed a similar change, but had to back off. —changing a requirement that insurers in Medicare's prescription program cover at least two different medications in each broad class of drugs. In some cases, that can tie the hands of insurers trying to negotiate lower prices. —revising the Food and Drug Administration's drug review and approval process to promote competition. Many of the ideas can be pursued by the administration through rule-making, which means Trump can drive change without a balky Congress. But whether that translates into a big hit with the public is unclear. There's no estimate from the White House of the potential impact on prices. "Convincing the average voter who is upset about drug prices that this is the path to righteousness is going to be a hard sell," Evans said.